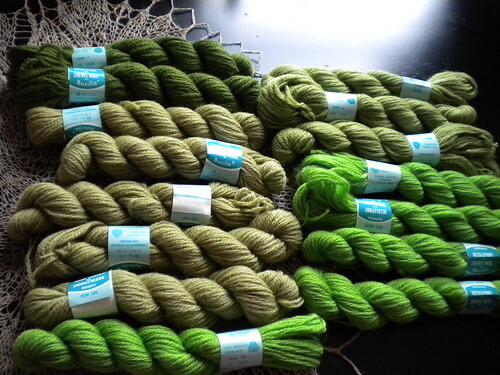 Crewel/Needlepoint wool in 40 yard skeins that haven't been cut in to lengths! I found 4 shades of it- about 600 yards- while at the thrift store. 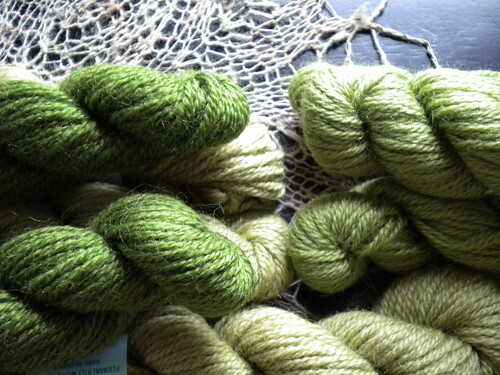 I don't usually get vintage yarn unless it is a large quantity of a really really good yarn, but this yarn called out to me to be something leaf inspired. I am starting out with the muted tones, leaving the bright bright green alone for the time being!